This towel ladder has a very modern design with its round polished stainless steel bars. Designed for two hanging standard towels, one above the other. This towel ladder is Not Heated for a Heated Version Click Here. This towel ladder is Un-Heated for the Heated Version Click Here. This towel ladder has a very bold modern design with its flat panels. Its high quality heavy grade 304 stainless steel is polished to a mirror finish, providing a contemporary feature piece for your bathroom. 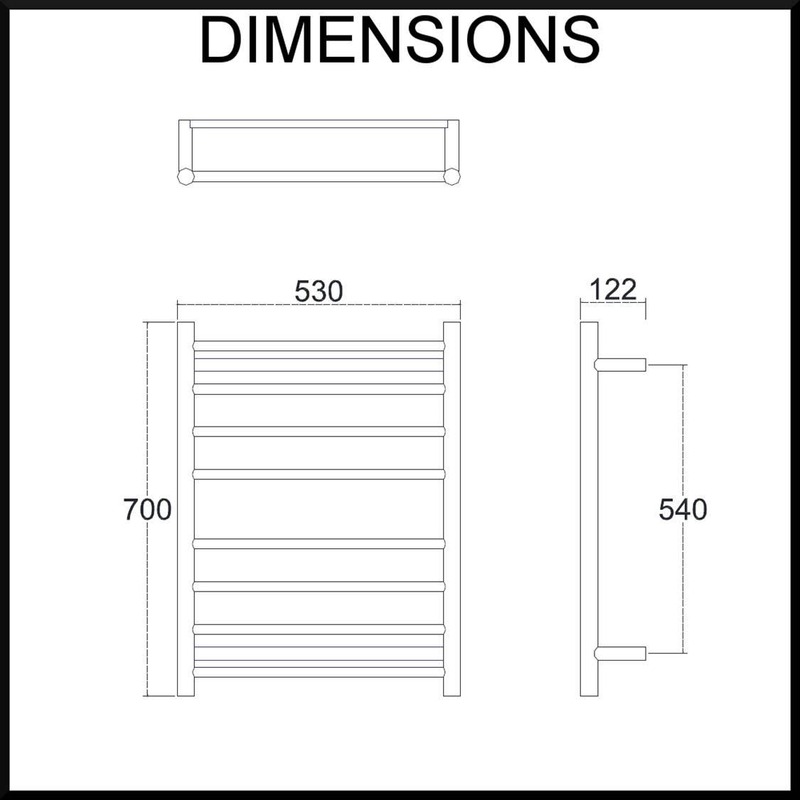 This unit is 530mm wide with 8 cross bars your towels will dry in no time! This unit is designed to fit two towels (one on the top four rails and one on the bottom four). Many towel ladders only have four bars which is good if only one person uses the bathroom! This revolutionary new system is the easiest way of installing a new towel ladder. 2 year manufacturer warranty against manufacturing faults. Conditions apply - see product documentation and Returns and Warranties Policy.